Led by CHQ Chairman Richard A. Viguerie, American Target Advertising President of Corporate Affairs attorney Mark Fitzgibbons, Former Virginia Attorney General Ken T. Cuccinelli, III and CHQ Editor George Rasley a group of 35 prominent conservative leaders has submitted comments to the Consumer Financial Protection Bureau criticizing civil investigative demands (CIDs, also called “administrative subpoenas”). The comments explain that judgeless, probable cause-free searches of papers and effects are incompatible with the Fourth Amendment, have increased in use and discretion with the expansion of the administrative state, and have been politically weaponized. The conservative leaders’ comments also address an April 25 submission to the CFPB by a coalition of 16 Democrat state AGs including now-former New York AG Eric Schneiderman, which seemed disingenuous in ignoring multiple complaints raised about CIDs issued previously under Obama-appointee, Democrat former CFPB Director Richard Cordray. The coalition of conservative leaders includes Richard Viguerie, Morton Blackwell, Colin Hanna, Brent Bozell, Ken Cuccinelli, David Bossie, James O’Keefe, Adam Brandon, Jenny Beth Martin, Bob Barr, Craig Shirley, Ron Robinson, Jim Martin, Saul Anuzis, Gayle Trotter, George Rasley and political/legal experts Cleta Mitchell, William J. Olson, J. Christian Adams, and Hans von Spakovsky. The comments submitted by the conservative leaders are below, a footnoted version may be found here: http://conservativehq.com/docs/cfpb.pdf  . We the undersigned conservative leaders submit these comments in response to the above-referenced Request for Information. We also reference the April 25, 2018 comments submitted to you by 16 Democrat state attorneys general and one other Democrat state official. We appreciate the opportunity to comment on the Bureau’s use of civil investigative demands (CIDs). These comments address (1) that CIDs are incompatible with the Fourth Amendment when original public meaning is applied, (2) that the uses of CIDs have exceeded the scope of the New Deal Supreme Court’s authorization of them, and (3) the potential and actual political weaponization of searches using CIDs. CIDs, also known as “administrative subpoenas,” are searches of papers and/or effects using demands issued by government entities to private parties where the searches are relevant to an inquiry under a purpose authorized by the legislature. They do not require probable cause. They are issued unilaterally, meaning they are not issued by neutral judicial officers. The nature of CIDs is that they are searches even though the government entity does not physically enter the premises of the target. Compared to when CIDs became institutionalized by the New Deal Court, federal agencies now have more discretion in interpreting the substantive laws they enforce, and such discretion has now been applied in the context of the scope of CIDs. Such discretion has even been applied to CIDs issued by state attorneys general. 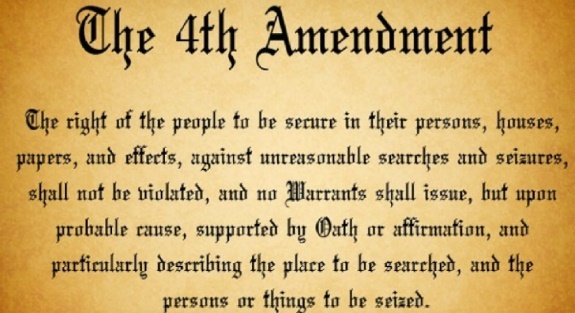 Discretion is disfavored by the Fourth Amendment, and the separation of powers is critical to preservation of rights in the context of searches. 1. CIDs Are Incompatible with the Fourth Amendment Viewed through Original Public Meaning. The genius of the Fourth Amendment is in its dual if not competing purposes of protecting the community from miscreants while protecting the security of our “persons, houses, papers, and effects” from government trespass, which courts have construed to also include a natural law right of an expectation of privacy. CIDs seem impossible to reconcile with the Fourth Amendment -- certainly its original public meaning -- because they (1) violate the requirement of probable cause under oath or affirmation in advance of issuance of writs to search, (2) are not issued by neutral judicial officers (i.e., violate the separation of powers -- indeed, even the dreaded Writs of Assistance were at least issued by judges ), and (3) are not reasonable under the historic justifications of search by unilateral, judgeless government trespass -- such as exigent circumstances or plain view -- to protect life, property, and the community. 2. CIDs Now Operate in a Vastly Expanded and More Powerful Administrative State Compared to When They Were Institutionalized. In his 1946 New Deal Court opinion in Oklahoma Press Publishing v. Walling institutionalizing judgeless, probable cause-free administrative searches, Justice Wiley Blount Rutledge wrote, “Officious examination can be expensive, so much so that it eats up men's substance. It can be time-consuming, clogging the processes of business. It can become persecution when carried beyond reason.” Therefore, even without mischievous political or ideological motivations, searches using CIDs can be disruptive of businesses and intrusive on rights, and so from a public policy and constitutional perspective we particularly applaud the Bureau for its request for comments about these judgeless, probable cause-free searches. In the 72 years since Justice Rutledge’s opinion, there has been a major expansion of the administrative state at the federal and state levels, including the 2011 controversial creation of the Bureau. There was also the often-criticized 1984 opinion in which administrative interpretations of law are given greater judicial deference, Chevron U.S.A. v. Natural Resource Defense Council. 3. Use of CIDs Is Now Too Vulnerable to Political Weaponization. It should not be lost on anyone that only Democrats signed onto the April 25 state attorneys general comments submitted to your office. This seems to suggest the Democrats’ claim at pages 1 and 5 of their letter that CIDs are “an indispensable law enforcement tool” certainly has a political or partisan bent. While we do not expect the Bureau under the current administration to issue CIDs for political reasons or for purposes of invading and intimidating speech, religious, or other rights, future administrations may not be so principled. Certainly the example set by various Democrat attorneys general in weaponizing CIDs against “climate speech” is ample warning that CIDs are in fact used to intimidate or punish speakers who do not fit the progressive orthodoxy. And, the CID recently upheld by the Massachusetts Supreme Court against Texas corporation Exxon Mobil over climate speech indicates that post hoc, probable cause-free judicial review doesn’t necessarily “ensure that [CID] recipients’ rights are protected” by judicial supervision, as claimed at page 4 of the April 25 comments submitted by Democrat attorney general. Therefore, while the Bureau is authorized by statute to issue CIDs, we urge contemplation of our comments at the Bureau and among members of the general public.